For your summer Barbie doll clothes, a pair of Capri pants can be a great addition to her wardrobe. In fact, in terms of a summer doll clothes, this can be among one of the most important pieces. They are a lightweight and sensible solution to fit any scene from a backyard barbecue to the beach. When you use the attached pattern, or any number of the free Barbie doll clothes you can find on this website, you will be able to mix and match different pieces together. For example, this pair of Capri pants can be combined with the scoop neck blouse for the perfect look. 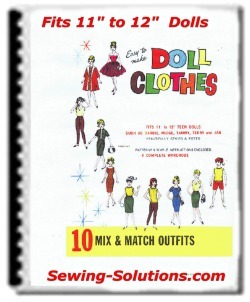 As you get your Barbie doll clothes ready to sew, you need to make sure you have the proper material for this outfit you are creating. 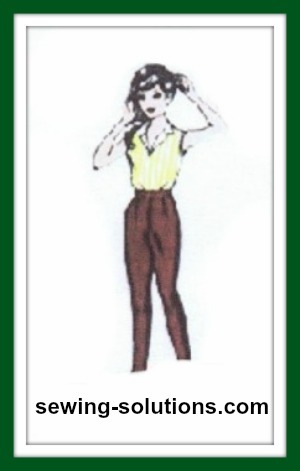 In this example, you will want to have a light cotton fabric to create the perfect pair of Capri pants. You won't need too much to make a pair for your Barbie doll, but if you end up with a little extra, you can use it in other doll clothes. Usually Capri pants are a light color, so when you are picking out fabric for them, look for a white or tan material to ensure that your outfit makes sense. The top that you match with it should also be a light fabric, but you can mix any color into it you like. Just be sure it matches. While sewing this design, think of any accessories that you have that can be added to make it even more unique. One of the reasons people do make their own free Barbie doll clothes is the fact that it allows them to personalize their own doll. In addition, it saves money that is often spent on a couple of pieces of clothing. If you like to change your dolls appearance on a regular basis, this can be a good method of having a closet full of Barbie doll clothes without the huge price tag. Best of all you can have a sense of pride in knowing that you created the impressive new look on your doll. 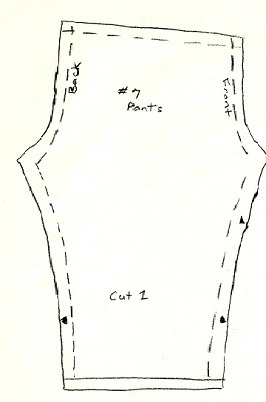 Remember, this is a reflection of you that you can be proud of when you design your own Capri pants. People will take note of how amazing it looks on your doll, and you will be able to take pride in making an outstanding outfit. 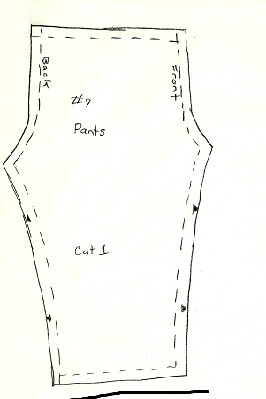 Cut out one of each pattern piece. This is right and left leg.